Crisp, cool fall weather is upon us which means its Football season. Break out the team jersey’s, oversized foam fingers, and start up the grills…..it's tailgate time! Burgers, hot dogs, hot wings, and potato chips of all kinds will be consumed. But what about dessert? 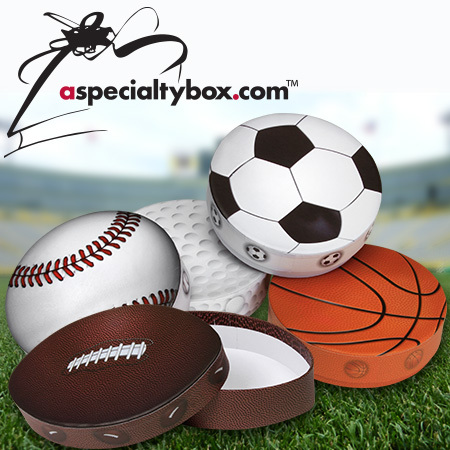 Everyone likes a treat, so why not give the sports loving person in your life one dressed up in one of our new “Sports Ball” boxes. Not a football fan? Then check out our basketball, baseball, golf, or soccer gift packaging. These boxes are a fun way to decorate any gift for your sports fanatic!